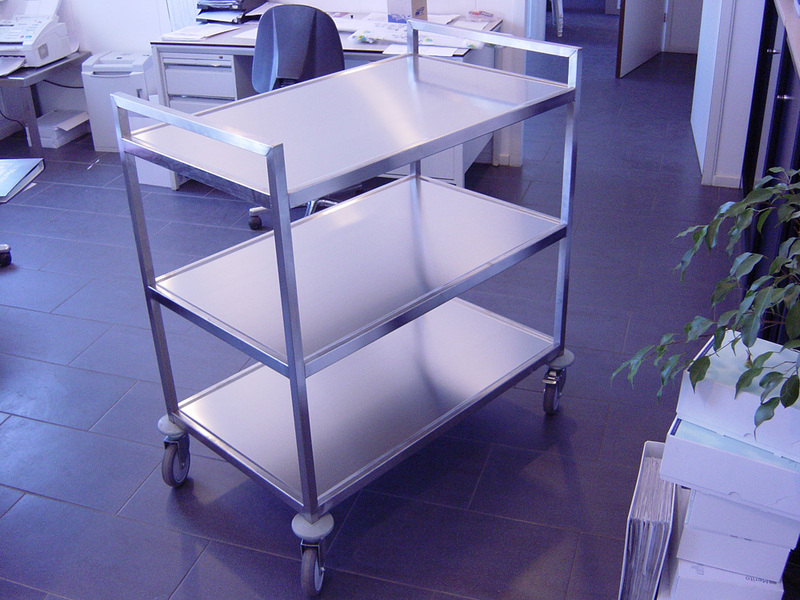 Stainless steel shelf trolleys are used in various industries. They are used for efficiently clearing dishes. 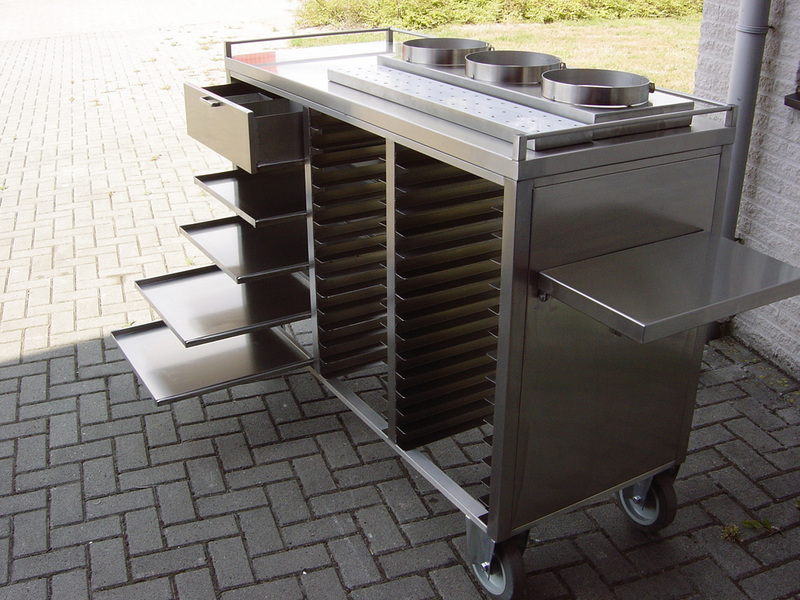 Stainless steel is the best choice because it is heat-resistant, hygienic and easy to clean. With lower racks, the top can also be used as a workshop. Stainless steel is also the best choice in this case because of its practical characteristics (durable & corrosion resistant). Our creative and experienced team specializes in the manufacture of customized solutions. In cooperation with you, we determine the best solution for your unique situation and the associated needs. We make large stainless steel serving trolleys, manufacture them in special sizes and smaller versions. 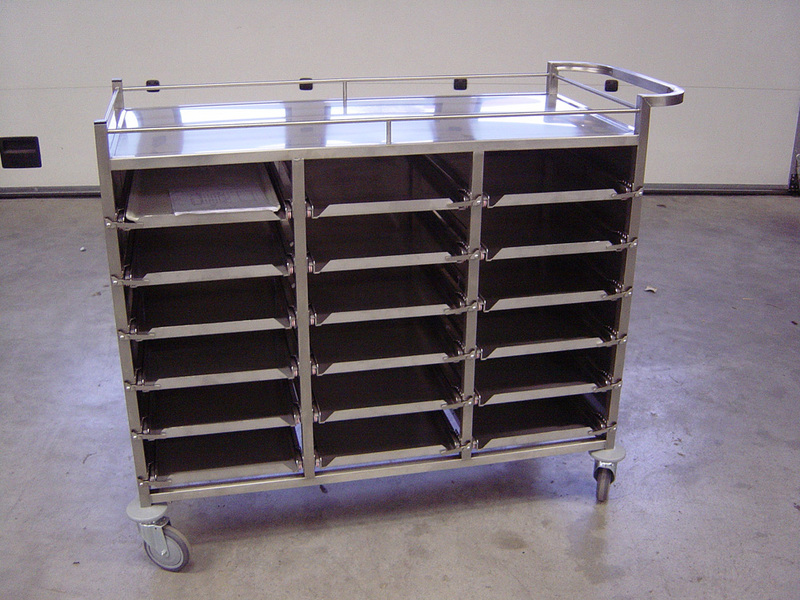 We also supply racks with or without drawers, bins, grids, trays or handles. Because we are all about customization, the possibilities are endless. 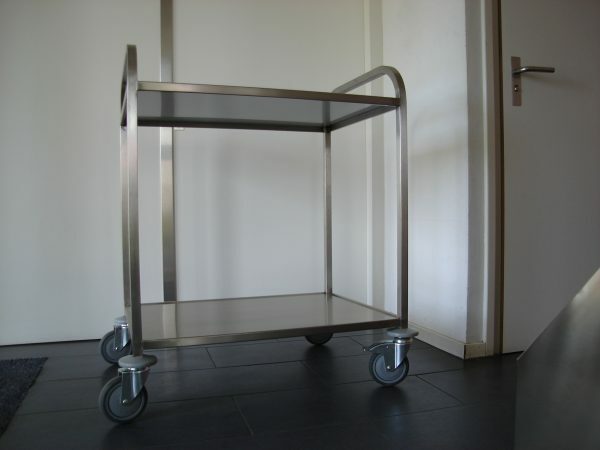 Would you like to know more about the possibilities of custom serving trolleys? Are you curious to know which stainless steel shelf trolley combination best suits your company or personal situation? Then please contact our dedicated and knowledgeable specialists. We will discuss the options with you and answer your questions.